It’s freezing outside, people. When it’s like this, all I want to do is make some tea, curl up with my dog and my electric blanket, and escape into one of my favorite books. This makes a huge difference from the fall when I want to curl up with my dog, a regular blanket and one of my favorite books, or the summer when I sit outside with my dog, an iced tea and one of my favorite books. I’m a huge wild card. With the wind chill dipping well below zero this week, there seems to be only one perfect remedy: a hotter than hot Jane Austen hero to heat things up. Any one of them can bring the fire to a room, but there can only be one Literary Hunk of January, and for me, that’s the dreamiest of them all, Captain Frederick Wentworth from Persuasion. The man pierces my soul. There’s something about the romance of Anne Elliot and Captain Wentwoth that holds a special place in my heart. All of Jane Austen’s lovers face obstacles on their road to happily ever after, but Persuasion takes it to a whole new level. After Anne is persuaded by her haughty, snobbish family to turn down Wentworth’s proposal, the two spend eight years apart, pining for each other and trying to forget their broken hearts. Eight years. Do you know what a person can do in eight years? 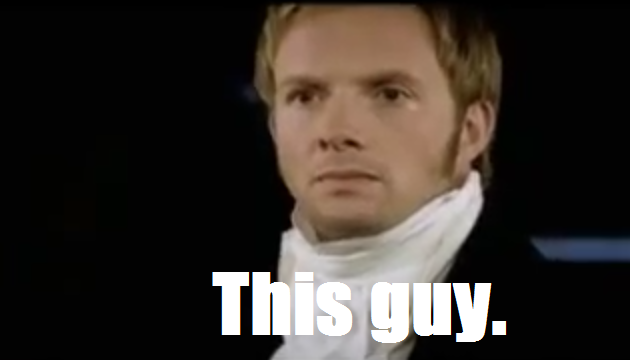 Anne’s family didn’t do much but waste their money away and become more stuck up about it, but Wentworth took those years to become an admired (and stinking rich) Naval war hero and pretty much the most eligible bachelor around. The takeaway from this is that you shouldn’t reject the man you love simply because your godmother urges you to wait for someone with a title. There’s so much to be said for Wentworth. He’s handsome, honorable and protects his country. Is he a little cold and stand-offish to Anne when they see each other after nearly a decade? Um, who wouldn’t be? The girl broke his heart. Since we love Anne, we feel her pain when he ignores her and spends so much time with that silly Louisa Musgrove, but we also understand where Wentworth is coming from. He’d actually be quite justified in being downright rude to Anne, but he doesn’t have it in him. He’s a true gentleman, despite what those Elliots think. One of the things that makes Wentworth my favorite Austen hero is the fact that he’s a self-made man. Anyone can inherit a Pemberley, but it takes a special man to come from “obscurity,” fight on the high seas and rise through the ranks on his own merit. He isn’t born into his fortune and the respect that goes along with it—he earns every bit of it. In short, he’s just plain awesome. Plus, he writes a heck of a letter. So while there may be more single digits than I care to see in the weather report, I will not find myself in half agony. With a whistling tea kettle, a snoring beagle and a toasty blanket, I’ve got everything I need for a lovely trip to Kellynch Hall and a visit with that dreamy naval captain. The best part is, I don’t even need to brave the cold and leave my house. Ah. The power of books. Ciaran Hinds makes a great Wentworth in the beautiful 1995 cinematic version of Persuasion, and Rupert Penry-Jones is flat out gorgeous as our favorite Captain in the 2007 BBC adaptation. Miss any of our previous Literary Hunks of the Month? Check them out here–they’re dreamy all year long! Once again you have entertained me with your witty description of one of your favorite characters. I found your blog, because I searched ‘Captain Wentworth Hinds’ in Google. Excuse my English, I don't use it very often. You make a very good point!! Ciaran Hinds is definitely an amazing Wentworth!! Love his performance, and love Captain Wentworth!! Thanks for reading and sharing your thoughts!!! I actually was inspired to read Persuasion after I saw the 1995 film with Ciaran Hinds. What amazing performance from both him and Amanda Root. They brought such emotional precense to the characters. 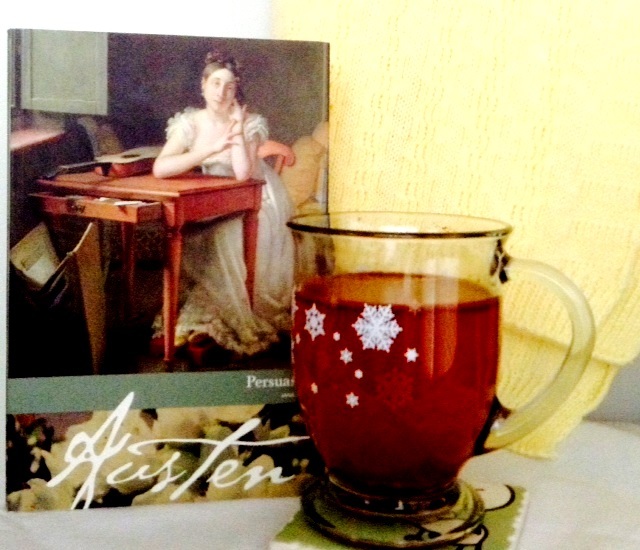 I also think Anne is one of the most kindest and sweetest Austen´s heroins. Then I saw the 2007 version and it was lame as can be.